The Elk Valley is the most fractured habitat in the Southern Rockies. It is the second largest metallurgical coal producing region in the world, with a stark juxtaposition of world-class wilderness values and extreme industrial extraction. 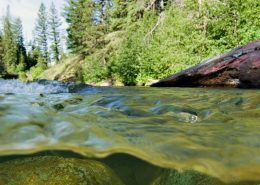 Mining has left a brutal legacy with selenium and other heavy metals leaching into the Elk River and its tributaries. Development, rail lines and a major highway have severely fragmented wildlife habitat in the area. We are advocating for sustainable management of these landscapes so that species can move freely and flourish alongside human communities as we move toward a post-carbon economy. Creating a balance between resource extraction and conservation is more urgent than ever before, as the range of many plant and animal species shifts due to climate change. It’s time to move into the twenty-first century responsible governance, human health prioritization, wildlife conservation and land use designations that respect and acknowledge Indigenous title and rights. One of the most biodiverse ecosystems in North America (Turtle Island), the Flathead River Valley is the heart of the Rockies. Tucked away in the southeastern corner of British Columbia, the unceded ?ama?kis (territory) of the Ktunaxa Nation, the valley remains one of the last wild gravel bed river basins in Canada. It is renowned for world-class water quality. 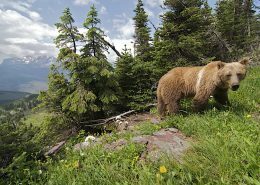 As rich in biodiversity as the Serengeti, the Flathead River Valley is home to the largest inland population of grizzly bears. A sanctuary for predator-prey relations, it is a wildlife refuge unmatched in North America for the variety and density of carnivore species. It is the most critical landscape connecting migratory wildlife and genetic diversity along the Yellowstone to Yukon connectivity corridor. 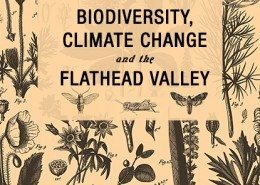 As climate change impacts amplify, the Flathead becomes exponentially more important to protect from logging, mining impacts and development. Wildlife and plant species need refuge to transition further north to higher altitudes. The Flathead provides all of this. Thanks to the help of thousands of Friends of the Flathead, we’ve brought about a ban on mining and oil and gas exploration in the area. However, it’s still threatened by plans for industrial logging, new road access, rock quarrying and hunting of ecologically important species like grizzlies. Help us protect this unspoiled wilderness pathway for migratory birds, grizzlies, wolverines and other species in alignment with the wishes of the Ktunaxa First Nation. Our work on the Flathead is supported by the Wilburforce Foundation. Are we letting Teck sacrifice the future of the Elk River to centuries of toxic coal mining pollution? To find out, we hosted a conversation between community leaders, ecologists, activists and policy makers on pollution and water protection in the southern Rockies. 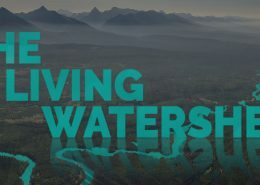 November 27, Victoria: Join community leaders, ecologists, activists and policy makers in a conversation on water quality, watershed management and the impacts of mining and forestry in BC. The Flathead Valley is unmatched in North America for the variety and density of carnivores and its extraordinary diversity of plants and animals. It remains one of the last wild river basins in southern Canada. However, there are no legislated wildlife sanctuaries in the Southern Rockies. On Wednesday February 24th, Sierra Club BC partnered with the Royal BC Museum to put on a multifaceted event that brought out speakers Troy Sebastian from the Ktunaxa National Council, Dr. Richard Hebda from the Royal BC Museum, and world renowned conservationists Brian Keating.